Of course, given their previous harassment incident, it shouldn’t be surprising as to the nature of the comments. 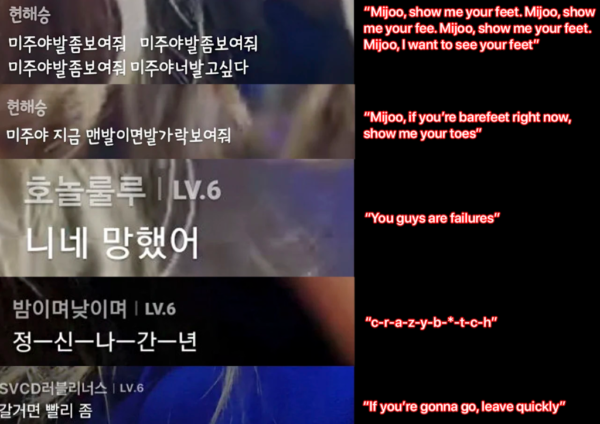 Mijoo quickly turned around to tell her everybody could hear, but obviously it was too late, and thank god since it was definitely humanizing and it would’ve been better if she continued. Anyway, of course Woollim Entertainment issued an apology on their behalf. But at least fans don’t seem to mind.